The Food Alphabet and More: Watch out for the McDonald’s ‘Chairman’s Treat’ on September 27! Buy one McSpaghetti McSaver meal and get one Burger McDo free from 2:00 PM to 4:00 PM only. For a limited time on September 27, McDonald’s customers will be treated with one free Burger McDo for every purchase of a McSpaghetti McSaver meal. 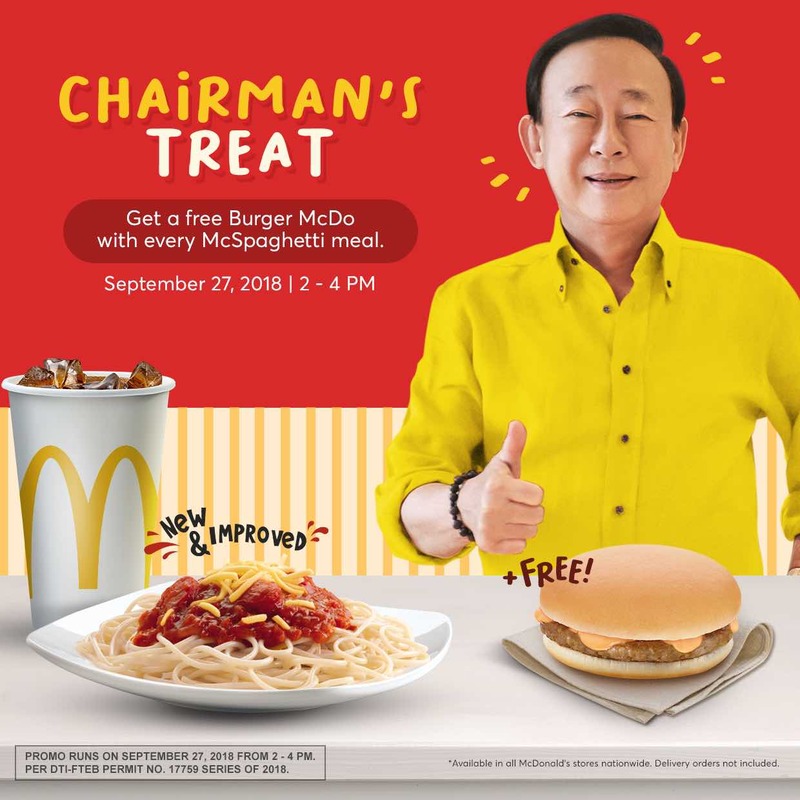 The Chairman’s Treat promo will run on September 27, 2018, from 2:00 PM to 4:00 PM only, and is available across all McDonald’s restaurants. The promo will be available for dine-in, take out, and drive thru customers only.